Donovan Ramdass, acquitted of the 2014 murder of his girlfriend Ashika Singh, is no longer under the judicial radar. This follows the dismissal of state’s application in the Supreme Court of Appeal (SCA) for leave to appeal Judge Johan Ploos van Amstel’s decision in favour of Ramdass. Singh, of Merebank, was found strangled in her home. In September 2016, Ramdass was acquitted of her murder by the Durban High Court. Ramdass testified that on the day of the killing, he drank excessive amounts of alcohol and smoked crack cocaine before the murder. He claimed he had no recollection of the killing. Ramdass drove Singh’s car out of her yard and abandoned it in Mahatma Gandhi Road (Point Road). 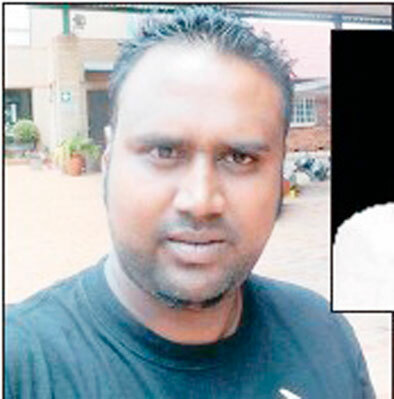 The court heard that he was found walking aimlessly in uMhlanga. Judge Van Amstel found there was reasonable doubt to convict Ramdass of murder. According to the trial court’s judgment, he lacked the requisite criminal capacity to appreciate what he did was wrong, when he strangled Singh. In its judgment, the SCA found that the application for leave to appeal had been procedurally irregular. However, it decided in the interests of justice to deal with the merits of the case. The appeal had rested on six issues the state had raised. But, the country’s second highest court found that none of them could be classified as questions of law that needed to be reconsidered. Two of the primary issues raised by the state dealt with criminal capacity in terms of whether the accused could tell right from wrong and could exercise self-control. The court concluded that both matters were issues of fact and there was no need for scrutiny. The SCA remarked that the onus was on the state to prove that Ramdass possessed the requisite criminal capacity. “The respondent (Ramdass) bore no onus of proving that he was unable to exercise self-control. All that the respondent had to do was to adduce evidence from which an inference could be drawn that the strangulation of the deceased was involuntary, in the sense that he was unable to prevent himself from committing this act,” said the court. Concerning the trigger issue which the state had alluded to, the court found that the case cited was no authority for the proposition that a defence of criminal incapacity cannot succeed.